Jeepers Creepers 4 will release soon! Gina Phillips disclosed the upcoming sequel to the American German horror film. What a thrilling news for the fans! 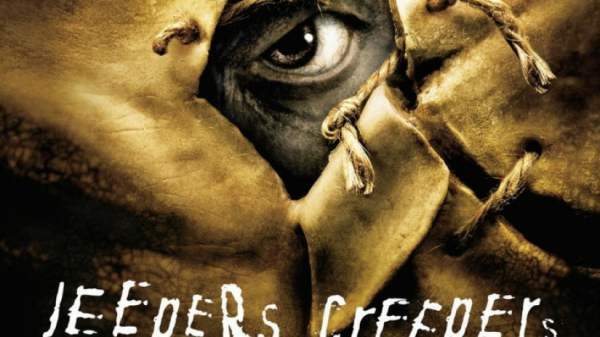 The viewers might be waiting so long to catch up with the latest updates of Jeepers Creepers fourth movie in the franchise. The wait has come to an end. Let’s check out more below. The first JeepersCreepers film was launched in 2001 which achieved high ratings from the audience. It was such a big hit that resulted in the sequel and straight to DVD threequel. The original film was a blockbuster hit and eventually turned out to be the best out of the three. Besides, it also channels Steven Spielberg’s Duel, then it ends up being a monster movie. The franchise has got more content for the next installment. With the news of JC4, it is likely going to be a DVD release. That sounds amazing! Gina Phillips who acted as Trish in the original movie was the first to hit the news out. In a discussion with Diabolique magazine, she hinted at the fact that the writer-director, namely, Victor Salva is actively working for the upcoming film. She said that Victor has written what happens after the JC3 conclusion. This means that the production of the next film is already in progress. The release date will be announced as soon as the work gets finished. “With this, I shall conclude my talks. It is enough to be revealed right now. Though, I must mention that he made the writing in detail and he had plenty of flashback scenes to what occurred over the past years which eventually left no difficulty for me,” she added. Further, the viewers wish to explore more about the character of Trish regarding what is she up to from the past 15 years. It was disclosed that she has a child for a beginning. Maybe, Jeepers Creepers4 show much focus on the activities of Trish. But, there may be no chance for it to happen. Anything could be possible as we haven’t heard any confirmed news about Trish’s character. Related: Train to Busan 2. Some conjectures are being made that Salva (a man whose background lets down many of the films, in reality) will be back for directing JC 4. As of now, any official release date for the next film hasn’t been out. Ray Wise: Jack Taggart Sr.
Luke Edwards: Jack Taggart Jr.
For more updates and news, stay tuned to TheReporterTimes.com! Thank you for pointing out the mistake and making it better. What us the release date on jeepers creepers 4. And will it be a dvd release. I find no answers anywhere.